In many ways, Rudolf Steiner is the forgotten genius of recent times. A powerful thinker, who developed an intricate spiritual philosophy based on his ability to research and perceive spiritual dimensions, Steiner is perhaps best known today for his legacy to education, medicine and agriculture. But behind these practical manifestations of his ideas lies a profound teaching, which he called a 'science of the spirit' or 'anthroposophy'. In these wonderfully succinct summaries of Steiner's thought, Roy Wilkinson introduces us to aspects of this spiritual philosophy. 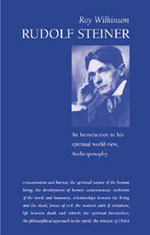 The twelve chapters are on the following themes: Rudolf Steiner, herald of a new age; reincarnation and karma; the spiritual nature of the human being; the development of human consciousness; evolution of the world and humanity; relationships between the living and the dead; forces of evil; the modern path of initiation; life between death and rebirth; the spiritual hierarchies; the philosophical approach to the spirit; the mission of Christ. ROY WILKINSON has been connected with the work of Rudolf Steiner for over 70 years. He studied at the Goetheanum in Switzerland - the centre of the Society founded on Steiner's work - and has worked in various related enterprises. He has travelled extensively, lecturing primarily in the field of education. As an experienced teacher, he has visited schools worldwide in an advisory capacity. His practical guides for teachers have become standard reference material in Steiner schools all over the world.